University of Pretoria MasterCard Foundation Scholarship 2019 (Undergraduate & Postgraduate) and How to Apply. The University of Pretoria (UP) in partnership with the Mastercard Foundation (MCF) is currently offering scholarships for high achieving African students interested in studying at undergraduate or postgraduate levels, commencing in January 2019. University of Pretoria MasterCard Foundation Scholarship Program for Undergraduates. University of Pretoria MasterCard Foundation Scholarship Program for Postgraduates. 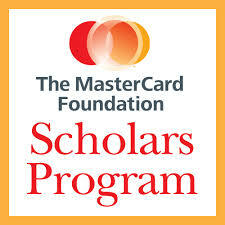 The Mastercard Foundation Scholars Program (MCFSP) at the University of Pretoria (UP) for full-time postgraduate study is open to students who have already completed a bachelor’s degree and are residents or citizens of an African country. This Program targets academically qualified, yet economically disadvantaged, young people in Africa who will go back to contribute to the transformation of their countries. Applicants should not already be in possession of a Masters Degree/ Qualification. How to Apply for University of Pretoria MasterCard Foundation Scholarship Program. You may apply online at www.up.ac.za/apply. To use the online Application system, you will need Internet access and an email address that you can access regularly. As soon as you submit your online application, a student number (EMPLID) will be sent to this email address as confirmation of receipt. The application will be evaluated by members of the relevant faculty and you will be informed of the outcome. Undergraduate applicants are required to write the Scholastic Aptitude Test (SAT) or the National Benchmark Test (NBT). Please visit www.collegeboard.org and http://www.nbt.ac.za/ for more details. Please check with your faculty regarding the requirements for the Scholastic Aptitude Test (SAT) or the National Benchmark Test (NBT). Download application forms for the MCFSP from www.up.ac.za/mcfsp. Submit your MCFSP application from to [email protected] for undergraduates and [email protected] for postgraduates together with ALL supporting documents as stated on the first page of the application form. Please visit www.up.ac.za/isd for general information for international students.